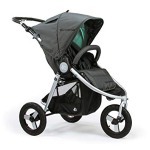 There are so many exciting features to love about the GB Qbit Plus stroller. 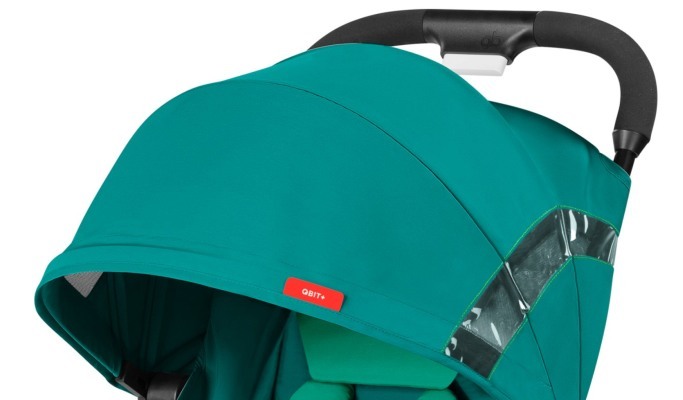 From its lightweight to compact folding and the huge sun canopy, you have more reasons to get this travel stroller. 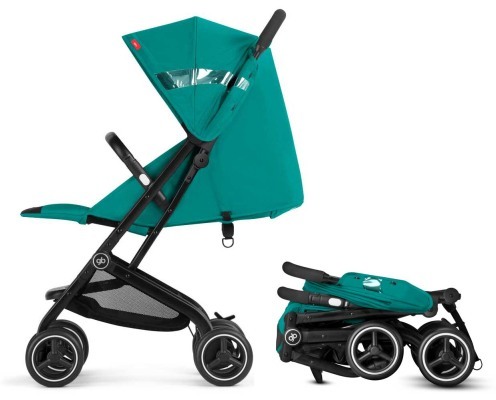 Apart from the seamless transport, easy storage, and excellent protection for your little passenger, you also have ample space in the large storage compartment of this stroller, capable of holding all of your essential items and more. Both the parent and the little passenger are in for some luxurious strolls in this nice travel stroller, irrespective of the environment. 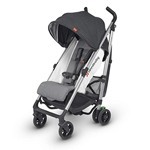 There is also the GB Qbit – another variant of this travel stroller but with lesser features compared to the Qbit +. So, if you do not mind paying $20 extra for the amazing features packed in the GB Qbit Plus, then it is by far the better option. Let us start with the appearance of this stroller, although this is arguably not the most important feature. 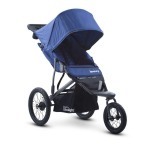 It comes in the Capri Blue color, which highlights its beauty and compatibility with children of both genders. You will be surprised at how much wear this little stroller can handle. It is durable enough to be toss into the trunk or onto the plane; alternatively, if you feel like taking it along with you, it poses no single problem. 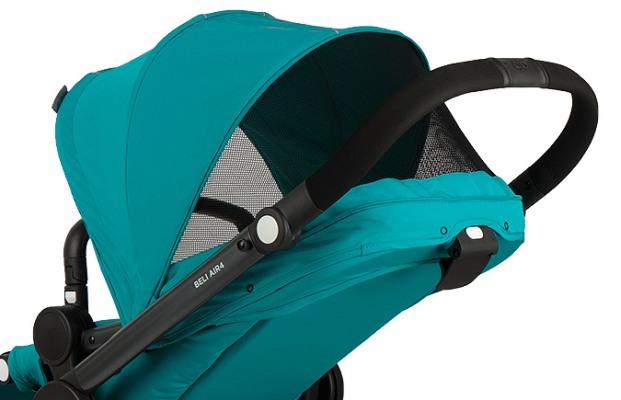 This stroller offers more durability, compared to other umbrella strollers. The size of the sun canopy in the Qbit+ is massive; you can rest assured of total protection against the sun at all times. The plastic peek-a-boo window comes handy in checking on your little passenger. It does not matter how long you stay on the go; your baby is well-covered by the shade. 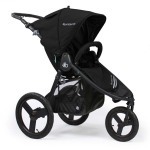 The all-wheel suspension in the Qbit+ is an unusual feature in lightweight travel strollers. However, it comes really handy for city strolls, boardwalks, or other interesting spots worldwide. The manufacturers have done quite well with the brakes on this stroller. You have a pedal in between the two wheels at the back, which can be easily engaged and disengaged. Doubting if your essentials will fit into the storage compartment on the GB Qbit Plus? Well, you can rest assured of ample space, all thanks to the biggest storage bin found in this lightweight stroller. There is no need for a separate bag, whether you are going for a casual walk or shopping – the inbuilt space is more than enough. We have mentioned all the benefits you stand to get with the GB Qbit Plus, now let us talk about what your child enjoys. The first is the seat, which is generously padded and fitted with well-padded harness straps. 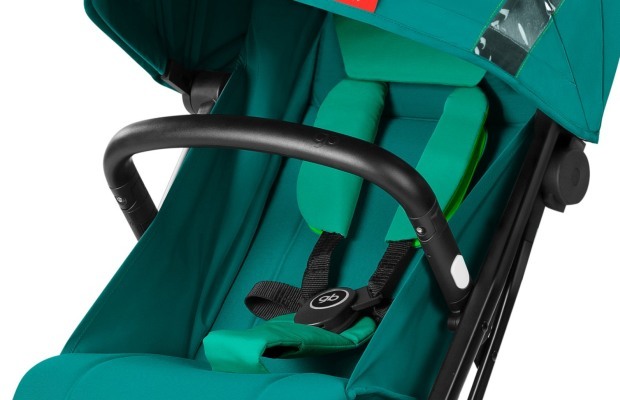 The seat can recline totally, making it possible for your little passenger to sleep whenever they want to. You can adjust the footrest according to the height of your baby, including newborns. Lastly, this stroller can work with both car seats and bassinet. The compactness of this stroller is one of its selling points. When folded, this stroller will fit into almost anywhere – overhead compartment, airport check-ins, car trunks, and anywhere else. It does not matter if you are flying or on a road trip, the Qbit+ got you covered. Everything about the Qbit+ is simple – no complexity whatsoever in the features and their operations. You can fold with just one hand; it is lightweight; it takes little storage space, and works with car seats seamlessly. This is one stroller that won’t give you any issues whatsoever. Here is one of the few strollers you can fold with a single hand. So, while your other hand is busy, this stroller won’t be too difficult to fold and compact. This even comes handy for parents that travel without their partners – it is possible to fold the stroller while holding the baby with the other hand. And the folded stroller can follow you anywhere – you will hardly notice its presence. Instead of the usual umbrella fold, the GB Qbit Plus transforms into a small cube. Interestingly, the folded stroller can stand independently. You will be impressed with the grip on this stroller. The height of the handlebar is fixed, but most parents will still find the height suitable for them. This is one stroller you can push around with just one hand without any serious efforts. Your grip on the handlebar is comfortable, all thanks to the cushion covering. 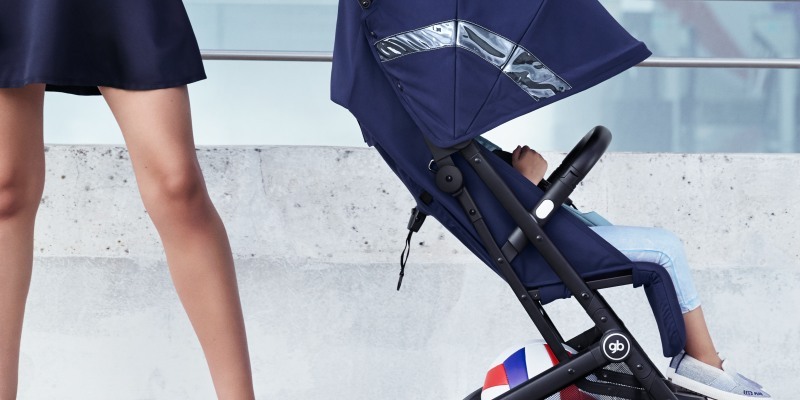 When you eventually start strolling with this travel stroller, you will see how seamless it is to control it. 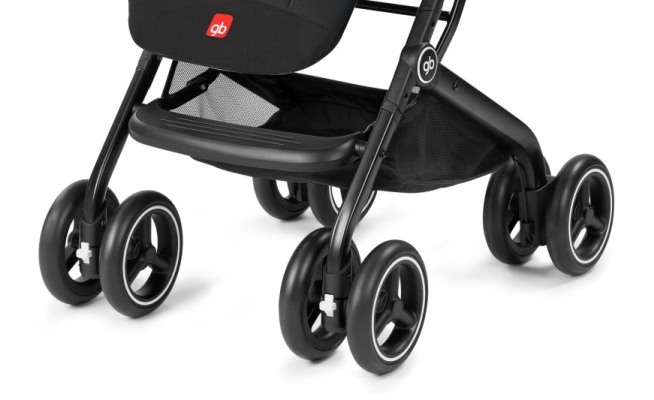 The rubber-covered wheel ensures excellent traction, while the all-wheel suspension facilitates even a smoother ride for your you and your baby. 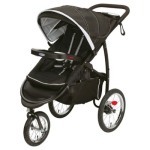 Maneuvering your way through crowds or tight corners is a piece of cake with this stroller. The slightly bigger wheels also contribute to the easy pushing. This stroller will handle difficult terrains to your delight. You can go strolling on grass or wood chip surfaces, all thanks to the rubber wheels and all-wheel suspension. 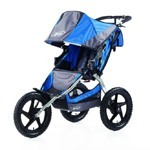 The small wheels mean the stroller will struggle on trails, but other usual terrains, you are fine. It takes just a few seconds to couple the different parts of this stroller out-of-the-box. 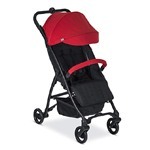 You can apply spot treating using soap and warm water to get rid of stains or dirt on this stroller. Fortunately, the dark color of the footrest means it does not get dirty easily. 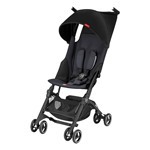 The GB Qbit Plus Stroller is suitable for newborns, provided you use with a compatible car seat. It supports up to 55 lbs, and it weighs 16.8 lbs. When folded, this lightweight stroller measures 17 inches in length, 19 inches in width, and 21 inches in height – it can fit into any car trunk without any hassle while leaving space for other things. It also fits into the plane’s overhead bin conveniently, provided such airline allows passengers to board with their strollers. You get a couple of accessories out-of-the-box. Let’s start with the bumper bar, as well as the rain cover that offers extra protection for the wetter climates. A cup holder is absent – a slight downside. 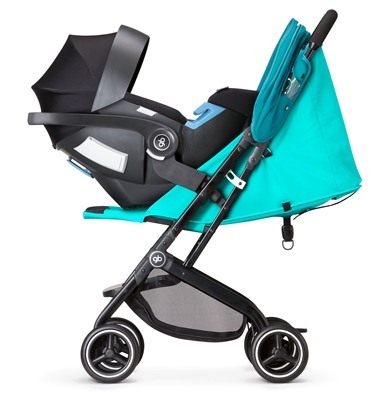 You can combine your Qbit+ stroller with the GB Asana car seat easily.